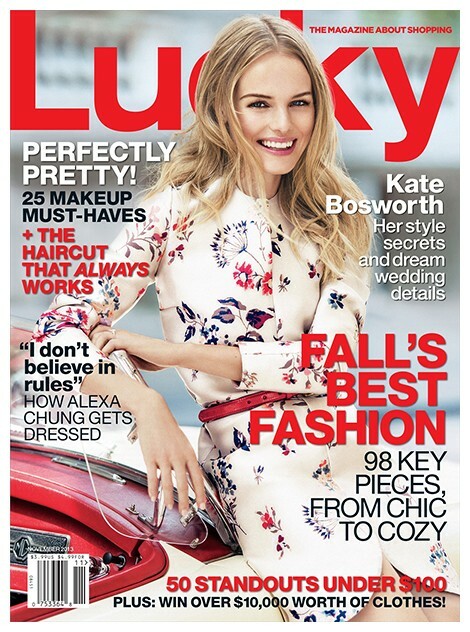 Kate Bosworth is Lucky Magazine's latest cover girl, and she's positively flawless on their November issue. As Lucky's editor-in-chief says, Kate is the "quintessential Lucky girl." She told the magazine that she didn't really have a dream wedding. "I never actually thought about what I wanted for my wedding. There are some women who know exactly, from the moment they can speak. But for me I needed to find the man in order to understand the bigger picture." That didn't stop her from having an emotional moment, however, when discussing her wedding dress. But to be fair, who wouldn't get emotional when you're talking about a custom Oscar de la Renta gown, with the designer himself?! "I couldn't control my reaction to sitting with him and talking with him about my wedding dress," she explained, "I was trying not to cry, so I probably had a bizarre twisted face on." Kate is clearly a fashion-forward woman (what with not one but two Topshop collaborations under her belt) and the gown she and de la Renta dreamt up was beyond stunning. As for getting ready for the big day? Bosworth said that the best advice she received was to let herself cry. "Just be in the moment. It's one of those clichés, but it's true: if you try and control too much then you'll really miss all the magic." Click here to read more from Bosworth's interview with Lucky, and watch a behind-the-scenes snippet here! 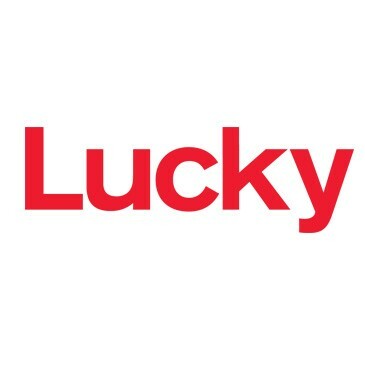 The November issue of Lucky will hit newsstands on October 15th.